The WKA Gym of the Month is Eastside Muay Thai. Located at 1577 General Booth Blvd. in Virginia Beach Virginia. Eastside Muay Thai has been an operation for over four years with a primary fight focus in the art of Muay Thai. Jose began coaching in 2013 since then he has produced many champions and has a choir close to 40 championship titles including the prestigious WKA world title. With a desire to establish a superior fight team Eastside was opened in August 2015. Aguirre stated “at Eastside we focus on traditional an authentic Thai methods and techniques. We also placed emphasis on the type culture surrounding Muay Thai. Aguirre went on to say “we are known best for our stable of young fighters many of whom are already national and world champions. Titles attained include WKA, USMTO, TBA, WMO, and WBC. 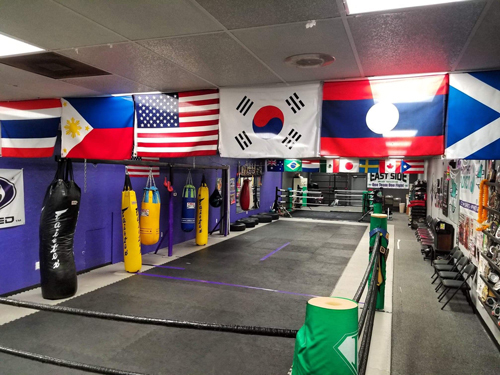 When asked what makes Eastside Muay Thai unique, Jose stated “a minority owned and operated facility Eastside is paving the way for Muay Thai on the East Coast. Although we have an undeniable talented Jr. fight team (one of the best in the country) we also have programs for students at every age and experience level. Congratulations from all of us here at the WKA to Jose Aguirre and Eastside Muay Thai the WKA Gym of the month. 1. Tell us a little about the background and experience of your instructor(s). Our head instructor, Jose Aguirre (31), has been practicing martial arts for 27 years. He started with TKD at age 4 and transitioned to Muay Thai at age 13. Jose had an extensive amateur fight career and went on to fight professionally in Thailand under the Fairtex name. After his fight career, Jose began coaching in 2013. Since then, he has produced many champions and has acquired close to 40 championship titles including the prestigious WBC title and WKA World title. 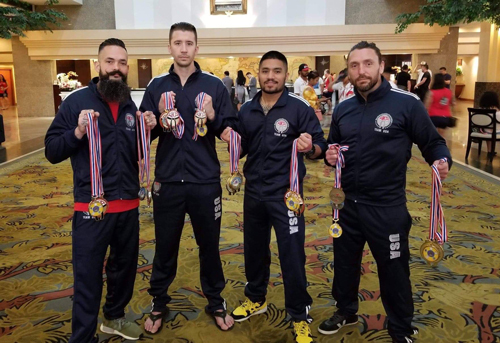 Recently, Jose was named co-head coach for the USA Muay Thai Team at the World Games in Bangkok. 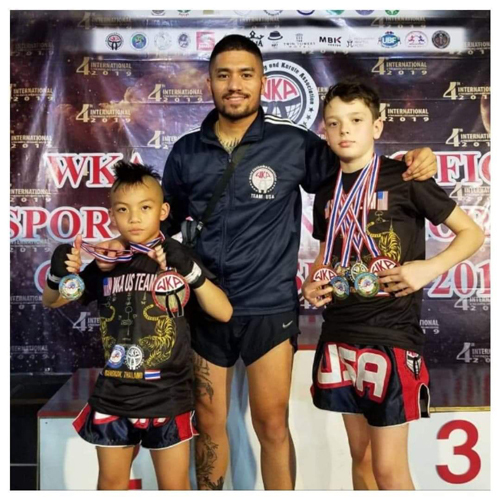 Jose, a Filipino American, had the privilege of training along side the Filipino National Muay Thai Team in Manila this spring. 2. Tell us about the origins of the gym. After training under the tutelage of his father, Dennis Aguirre, for several years, Jose set out to build his own name and reputation. With a desire to establish a fight team, East Side was opened in August of 2015. 3. Who are your best fighters? Any champions? We are known best for our stable of young fighters, many of whom are already National and World Champions. Titles include WKA, IKF, USMTO, TBA, WMO, WKA, and WBC. 4. What training methods do you use to train your fighters? At East Side, we focus on traditional and authentic Thai methods and techniques. We also place emphasis on the Thai culture surrounding Muay Thai. 5. What makes your gym unique? A minority owned an operated facility, East Side is paving the way for Muay Thai on the East Coast. Although we have an undeniably talented junior fight team (one of the best in the country), we also have programs for students at every age and experience level.